i think we are all well aware of my obsession deep and abiding love for those whimsical little moo cards that you can make of your own fabulous pictures and use as a sort of alternative, way creative business card, but which you can also include in your decor and your paintings. i think that we should order blog camp moo cards from the photos we take during the weekend. and then to prolong the fun of blog camp beyond actual blog camp, we should have some kind of fun contest-type activities where people can win a little selection of the blog camp moo cards. I love Moo! I'm taking my postcards to blog camp!!!! I didn't have many photos that could fit mini cards well so I'll work at that at blog camp! 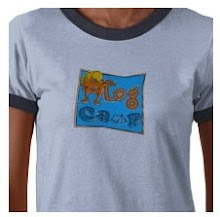 I am so green with envy, "i want to go to blog camp" said in a whiney five year old voice! I will be in Orange Beach Alabama that weekend.. husband is going to see Steely Dan!! uurrgghhh. I am avoiding that nightmare and will be sucking up wine and pretending to be at blog camp. I always wondered about the Moo and never had a chance to explore so this is pretty exciting. Great, thanks. Looks like it'll be the most creative weekend of my life. I had never heard of moo. Whenever I need prints, I always use vistaprint.com but moo is soooo much better. You can print a variety of items and not be committed to 100 prints of one item. Thank you for sharing this resource.